One-sentence summary: Friends of Justice, Victoriana-style, wait around for the The One in order to fight evil. Why did I get this book? : People I like like it! Do you like the cover? : Not particularly. First line from book: The air in London was grey. Did this book make me wish my commute were longer? : NO. Did this book require a dictionary? : NO. Did I want one of the characters to be my BFF? : NO. Review: I've tried twice to read this book, and on my second attempt, I made it further -- third chapter. But neither time nor more pages made this book any more engaging for me. I found it bland and familiar (in the worst way). 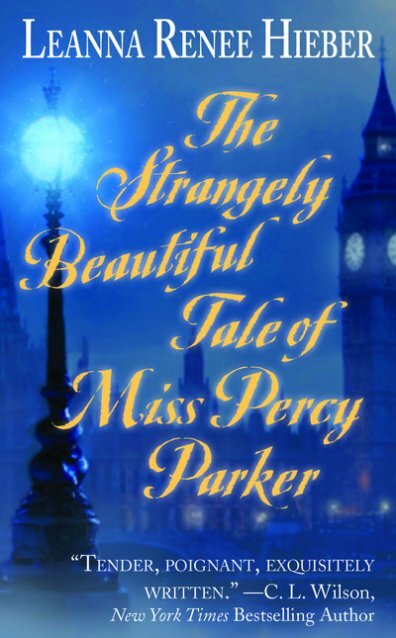 Worse, I didn't like any of the characters, least of all the eponymous Miss Percy Parker. To be fair, I hardly got to know her, but from the moment she stepped foot into the scene, I didn't want to. I wish I had some specifics to offer, but really, I felt myself kind of glazing over with each page -- when I should have been hanging on every word. wow this sounds pretty awful. sorry it did not work for you. I know! I really, really wanted to like it -- I've heard it's been optioned as a Broadway musical -- maybe I'll like it better then!